Horse properties have many beautiful parts. Ponds and small lakes are one of them. They can add value to the property. 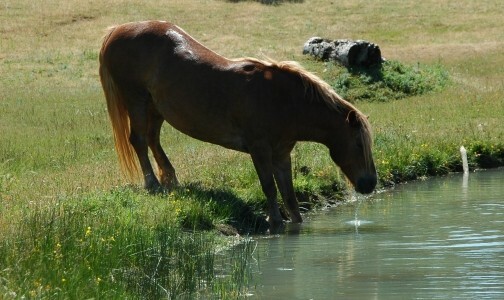 Ponds have several benefits for horses. Some of them like to go swimming when it is very hot outside. Swimming is a good exercise that builds trust between them and their owner and is low impact on their joints. There are some things to consider with ponds however. The nice thing about year round ponds is that they offer a constant source of water for the horse. Northern California has some pretty cold winter months and in these months water pipes can freeze cutting off water supply. Even if the ponds freeze over, it can still be pawed to break the ice letting them have water. These ponds offer horses water year round and they are nice to cool off in, but there are some issues that come with ponds. Small lakes and ponds are home to bacteria and algae. 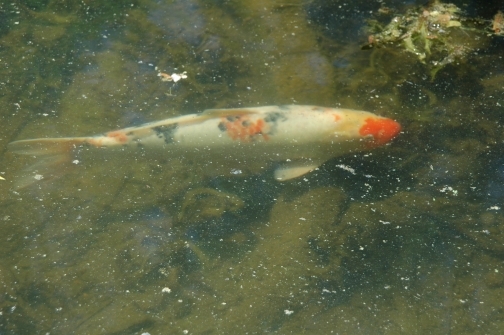 Some of the algae are harmless, like the Chara. This algae grows on the bottom and is just an appearance annoyance The Chara algae along with several others are not harmful to animals or people. There is an algae that can be deadly to people and animals. The blue-green algae is just one of theses. Blue-green algae is a Cyanobacteria. This bacteria is characterized by its light bright green slime that floats on top of the pond. It can be other colors, but is most often this color; it disperses quickly when it is touched. It blooms in the late summer months when the temperatures are hot. During a bloom it releases a toxin that when a person comes in contact with it, they can have diarrhea, vomiting and other issues. Swimming dogs and livestock often drink out of ponds where there is bacteria. Ingested blue-green algae affects them with seizures and diarrhea. Many people don’t catch these symptoms in time. Sadly, if it is not caught soon enough, these animals will die within twenty four hours. The bacteria is very dangerous and animals must be corralled away from it. Small lakes and ponds are the breeding grounds for parasites and flying bugs. Mosquitoes and many other bugs’ young hatch in still water such as ponds. Mosquito fish can help with the bug problem.Roundworms (ascarids) and Large Stongyles live in the water and can be drunken by horses. Many people would say that it is best to just fence off the pond. 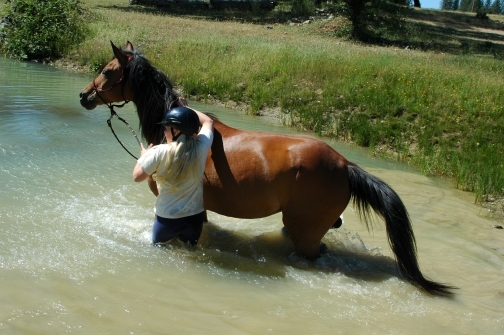 There are many things that can harm a horse when it comes to ponds. You must use your best judgment when it comes to ponds. Having a pond can be great fun or it can be devastating.